A few people from various churches have asked me about our Good Friday service, so I’ve listed it below in a simple listing. Remember that we are a multi-site church so we create services and events that can take place in multiple places and they have freedom to make changes based on their environment and need. I should also say this production was a collaborative effort and could not have been possible without input from Alex Moore, Stacey Barr, Beth Luca, Dwight Fitch, Victoria Acosta, Kristian Sanchez, Javier Acosta, Haylee Thacker and with feedback and input from our campus pastors and associate pastors. Enjoy. Speaker: On the night before Jesus was crucified, He was in anguishing prayer, knowing what was about to happen. Then, He was betrayed with a kiss by one of his disciples, a friend, or at least a pretend friend named Judas Iscariot. Judas had spent three years with Jesus. Three years. Jesus had commissioned him, fed him, loved him, taught him, cared for him, and invested in him, but Judas betrayed him for thirty pieces of silver. Speaker 1: It sounds like a lot of money, but in reality, it was only enough money to buy a small field in that time period. Soon after, one of the slaves of the high priest, asked, “Didn’t I see you out there in the olive grove with Jesus?” And for the third time, Peter denied it. Speaker 1: Jesus was taken to Pilate, the Roman governor. “Are you the king of the Jews?” the governor asked Him. But when the leading priests and the elders made their accusations against him, Jesus remained silent, much to the governor’s surprise. It was Pilate’s custom each year during Passover to release one prisoner to the crowd—anyone they wanted. This year there was a notorious prisoner named Barabbas. Meanwhile, the leading priests and the elders persuaded the crowd to ask for Barabbas to be released and for Jesus to be put to death. So Pilate released Barabbas to the people. He ordered Jesus to be scourged, then turned him over to the Roman soldiers to be crucified. Speaker 2: Then the Bible says, “They took Him and had Him scourged.” Now, scourging was such that it often killed the victim. But Jesus was a young and strong man in his early thirties. He was in good physical condition. That could be why He didn’t die from the scourging. They stripped Jesus nearly naked, and shackled his hands over His head. Then soldiers stood on either side of Him and whipped Him brutally with what’s called a flagrum or a cat o’ nine tails. It was a wooden handle that had long straps of leather protruding from it. At the end of each strap was a ball of either metal or stone, and that would tenderize the human flesh. Sometimes there were hooks at the end, usually made of metal. Speaker 2: So the soldiers took turns doing their job, inflicting as much pain as possible on Jesus. Speaker 2: At this point, for Jesus, the process of death has begun. 3.2. 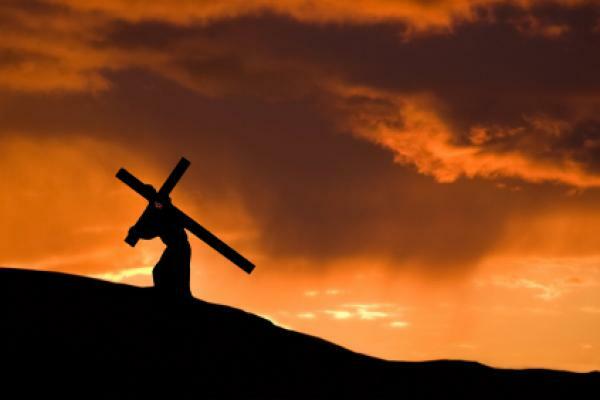 Nailed to the Cross – Jesus was forced to carry His cross to the place of death. The cross was an enormous wooden beam that you would use to secure a roof in an ancient home. This was recycled timber. Other men had carried it to their own crucifixion. It was covered with their tears and their blood, and their sweat. On the way, Jesus was so exhausted that He collapsed under the weight of the cross. Simon of Cyrene, a bystander, was commanded to help Him carry the cross to the place of crucifixion. And then, this Carpenter who Himself had driven many nails, had the equivalent of railroad spikes driven through His hands and feet. Speaker 2: Jesus’ cross was then lifted up and dropped into the ground, shaking His body violently. Speaker 2: From the cross, Jesus cried out, “My God, my God, why have you forsaken me?” In that moment, something legal, something spiritual, something eternal happened. Jesus traded places with us. 2 Corinthians 5:21 says: “For God made Christ, who never sinned, to be the offering for our sin, so that we could be made right with God through Christ.” Adam and Eve, in the Garden, substituted themselves for God and introduced sin to mankind. But here, in this place God substituted Himself for us, defeating the power of sin. Then He cried out, “It is finished!” His last words might have been hard to understand, but they were triumphant just the same. Salvation through Him was available. It was finished. 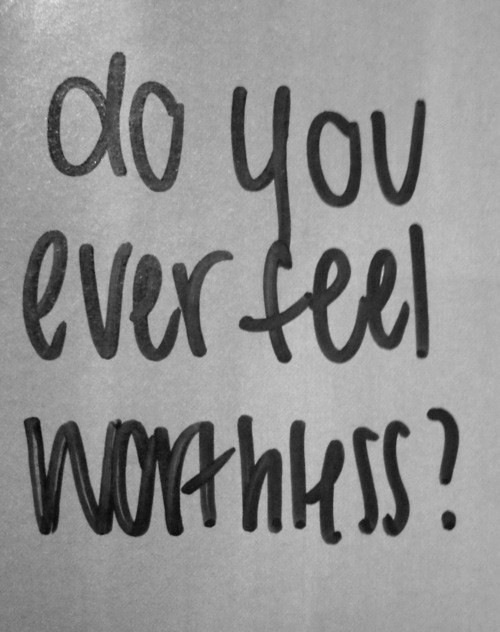 Do you ever feel worthless? Good for nothing? Without purpose? Insignificant? Unlovable? Ordinary? Did you know that God created you in His image? It doesn’t matter if you are male or female; you were formed in the image of God. That means something. Your life is not an accident. God made you on purpose. You have worth. You have value. God formed you after Himself. He loves you and has amazing plans for your life. Every single day of your life was planned before you were even born. God didn’t create the planets, earth, sun, moon, stars, rocks, rivers, canyons, mountains, trees, birds, or animals like Himself. Instead, He formed you after Himself, in His image. He made you special. If you ever struggle with feeling worthless, pray something like this and mean it: God, thank You for creating me in Your image. In that alone, I have great value.